A leader in nursing education for more than a century, Mount Carmel offers an evidence-based and flexible online Bachelor of Science program designed by expert faculty—all to fit the busy lifestyles and schedules of licensed registered nurses. With full accreditation and a student-first focus, Mount Carmel College of Nursing is committed to advancing nursing careers to meet the critical demands of today’s healthcare environments. A total of 128 semester credits are required for the baccalaureate degree and 84 of those credits are transferred from coursework completed in prior nursing education, including Associate Degree and diploma programs. 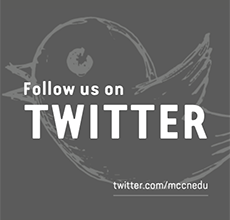 The MCCN program offers the remaining 44 credits to complete the degree. One-Year Commitment: MCHS offers tuition reimbursement of $3500 per calendar year for full-time employees and $2000 per calendar year for part-time employees for course grades of “C” or higher. Please see the Mount Carmel Human Resources 760 Tuition Reimbursement and Education Assistance Policy/Procedure for eligibility and application process. 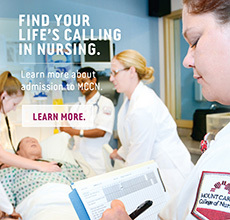 Two-Year Commitment: MCHS has an Education Assistance Program — tuition free — for RNs to pursue their RN-BSN from Mount Carmel College of Nursing in return for a two-year commitment to work at Mount Carmel following completion of the degree. Please see the Mount Carmel Human Resources 760 Tuition Reimbursement and Education Assistance Policy/Procedure for eligibility and application process. 7. Who should I contact for more information?